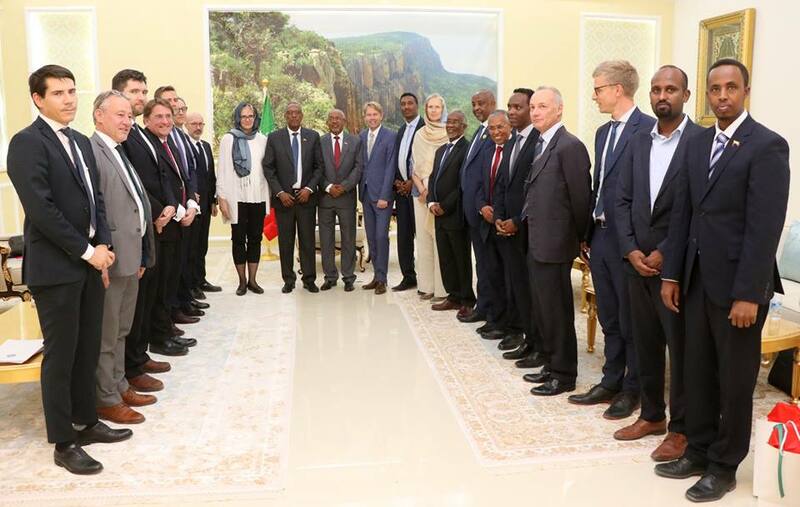 Horndiplomat- A large delegation of ambassadors from European union led by the Danish Ambassador Mette Knudsen arrives in Somaliland on Tuesday. The president of Somaliland Muse Bihi Abdi received in his office a high-level delegation of international partners led by Denmark Ambassador to Somalia Mette Knudsen as well as representatives of EU,Sweden, Denmark, UK, Norway and Finland. During the meeting, President Bihi and EU Ambassadors discussed a wide range of issues pertaining to the elections, Somaliland and Somalia dialogue, drought, humanitarian aid, regional security and the dynamics in the Horn of Africa. “We also discussed the upcoming elections in Somaliland we are strong supporters of the democratic process here we have discussed with the president our hope that it will be possible to find a compromise between the political actors that will lead to elections in this year” Ambassador Mette Knudsen says in a press conference in Hargeisa after President biihi received seven ambassadors. The Denmark Ambassador also noted the meeting with president Bihi discussed issues related talks between Somaliland and Somalia. The Denmark Ambassador Mette Knudsen has also expressed the concerns for the humanitarian situation in Somaliland that caused by the continue drought. The EU delegation will also met with Somaliland political parties to discuss the plans to ensure Parliamentary and local elections by December 2019.